Uber is venturing into credit card business. The company announced a partnership agreement with the banking giant Barclays and Visa at the Money2020 Conference in Las Vegas. This new venture comes as a way to expand into financial services industry. The card will be available starting the beginning of November. 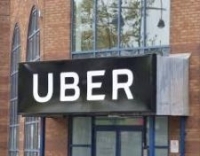 Uber customers will use it as their payment option for Uber services. Uber's credit card will be linked to the Uber app and users are going to be rewarded points for using it. The points are redeemable into the Uber app. The system will work the same way as at a casino online real money. Applying for the credit card by riders begins on 2 November and the application only takes few minutes to get approved. It will be easy to apply for the card and the application is done online. The card is then immediately added to Uber wallets and the rider receives the physical card within a few days. This is a great idea for the company that records at least 10 million riders on daily basis. Its partnership with Barclays and Visa allows it to have convenient operations of its credit card by using already well-setup systems. The no-fee credit card will have interest rates ranging between 16 % and 24%. It offers a bonus of $100 when the user spends at least $500 on purchases within the first 90 days of using the card. This is the same concept adopted by iGaming sites such as casino za. In addition, the cardholder enjoys other benefits like 4 % back on restaurants including UberEats and bar purchases, 3% back on hotels, airfares and other short-term rentals. The user also gets 2% back on any online purchases using the card and other general purchases. Moreover, by paying out at least $5000 a year on the card, the user is rewarded with $50 free subscription on Spotify or Netflix. The credit perks include invitations to exclusive events and mobile phone insurance up to $600 after using it to pay a monthly phone bill.